Powell Brothers Roofing Contractors, Inc. Comment: 3 windows (2 shutters per). One over garage is 60". Two at ground level are 72". Old shutters are attached to mortar joints. Remove old and install new. Customer to furnish shutters. Comment: We have to replace the casings around the windows of the outside of our house. Comment: I would like to get an estimate for a chimney that has rotten wood on it and I want it replaced and then painted. Comment: Unknown water leak from the top of the window frame. Comment: Mây gazebo needs a. New top & new screening. Comment: I have several locations on outside of house where there is rotten wood. Around window, just below gutters, spindle on balcony. Must be able to reach high places with a very tall ladder. Very tall two story house. Cordova Carpenters are rated 4.78 out of 5 based on 358 reviews of 26 pros. 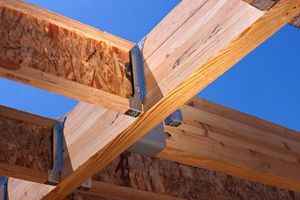 Not Looking for Carpenters Contractors in Cordova, TN?